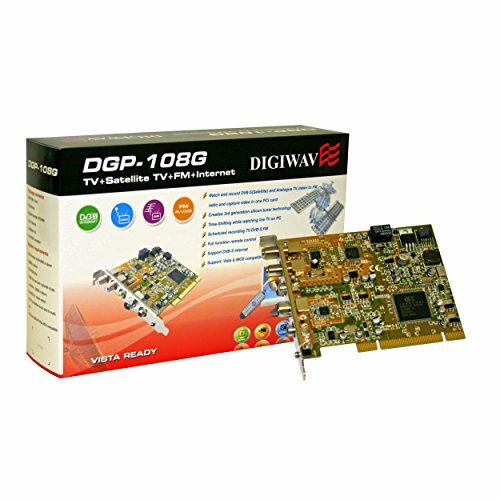 Digi wave DGP108G is a DVB-S/Analogue TV/FM radio/Internet card, which allows you to access digital satellite TV, Cable TV, Air TV and FM radio on your PC, and uses internet via satellite. DGP108G can record your favorite programs, playback and capture whenever you like and further burn them into VCD/DVD. It support Time-Shifting, EPG, teletext, instant and scheduled recording while you are watching DVB-S TV and analogue TV.